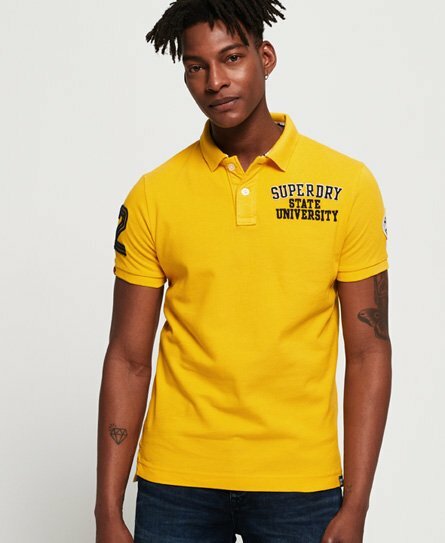 Superdry men’s Classic Superstate pique polo shirt. Made with cotton, this polo shirt features duo button fastening, an embroidered Superdry logo design on the chest and applique logo detailing on both sleeves. This must-have polo shirt is completed with split side seams and a logo tab on the hem.